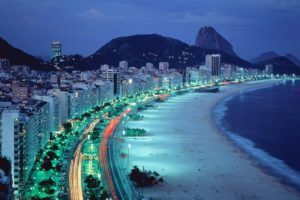 This amazing quirky city is definitely worth considering adding to your Bucket List, if it isn’t already on there! Whether it’s Gaudi that draws you in or the city sea combo, we hope here at Make a Bucket List we can help you with some Barcelona travel tips. 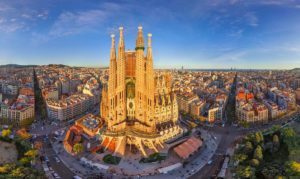 Barcelona is a great two or three day city break, with some fabulous sights, great food and delicious drinks. We opted for booking in sections as you can get some really good deals, so check out Skyscanner for the best flights and then link that in with Booking.com or Trivago for your hotel. We would recommend visiting between April and October to get the best of the Spanish climate. But in the hotter months, you may prefer to head down by the beach for more days than you would spend exploring. Whilst you’re down there don’t forget to check out the fish restaurants. Public transport is simple to use so long as you can work out the maps, so it’s easy to get into the city from the airport. A great way to get a feel for the city and work out where things are, is by jumping on the Bus Tours with the Barcelona Pass. This way you get to work out where everything is and can easily hop on and off as you go. This city can get hot, even late spring. So clothing that can be layered is your best option for packing. T-shirts will be fine during the day, but you’ll be reaching for your jacket or fleece in the evening. As with many city experiences comfy shoes are a must, even if you are happy on the metro or the bus tour it’s likely that you’ll still do a fair amount of walking. In the evenings you will see a whole range of dress codes coming into play. The Spanish seem to dress in smarter clothes, but you’ll often see them still in comfy shoes. For many Barcelona is a short break city, but because it’s so close to the sea you could extend it to a full week and allow for some beach days. To start with get your Barcelona Pass sorted, this will get you in nearly every top attraction in the city and provides you with a map. 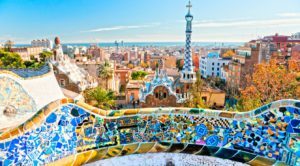 You’ll notice us mention it a few times below, as it really will be your go to pass for planning the ultimate Barcelona trip! An absolute must visit whilst there is the Gaudi Church Sargrada Familia. We used the hotel reception to book tickets which saved queueing time! However if you get a Barcelona Pass this will get you in! Inside tip – either booking an early ticket or getting there early makes a massive difference, this means you get inside before the masses arrive. Make sure you take a walk around at night, to really appreciate all the colour in the windows. This fabulous church has been a long time in the making with construction beginning in 1882 and it is not expected to be complete until 2026, a century after Gaudi’s death. Its huge size is comparable to cathedrals, with its multitude of towers. Gaudí carried the Art Nouveau style far beyond its usual application as a surface decoration. You’ll be amazed at both the outside and inside, and be sure to not miss the Gaudi exhibition centre. For the football fans there is Camp Nou, which is the home stadium of FC Barcelona. Your Barcelona pass is also accepted here. Not only can you enjoy the stadium tour, but there is also a museum with interesting facts about the team. Camp Nou is renowned for its beautiful pitch, so why not treat yourself to a piece because they sell them in the souvenir shop! In addition to the two attractions above, the Barcelona Pass will get you in to 15 or more venues and use of the hop on hop off bus. So you can find lots of places to explore including the Casa Batlló which is a must visit Gaudi attraction, where you can enjoy a smart guide to bring the house to life. And Casa Milá another of Gaudi’s masterpieces, which has 28 unique chimneys and a roof terrace called the ‘Garden of the Warriors’. When you’re tired of museums head to the Magic Fountain Montjuïc, located at the head of Avinguda Maria Cristina in the Montjuïc neighbourhood. This beautiful fountain puts on a really beautiful show. If you want to watch it in all its glory, be sure to check out the show time schedule beforehand. You will then find within walking distance the Pobel Espanyol which is one of Barcelona’s attractive open air museums featuring contemporary art, architecture, cuisine, crafts and trade. 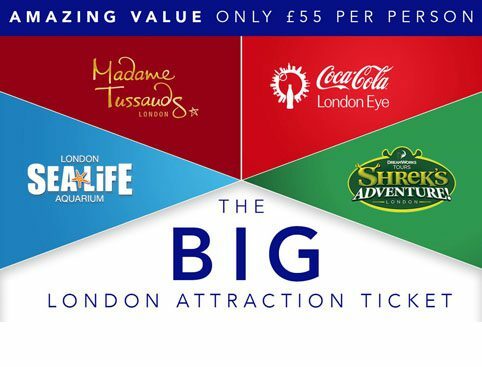 You can get in here using your Barcelona Pass, as well as lots more locations across the city! Finally, Park Güell is a must! Not just for its quirky Gaudi designs, but also for the beautiful view you get of the city. It’s a public park, made up of gardens and architectonic elements located on Carmel Hill. This park is unique and an array of colour. Just to give you a heads up, there is a small entrance fee to get into the main part of the parks to see the monuments. However you can walk around the park without going in this but if you prefer. When it comes to eating out there is plenty of choice, just be careful if you’re wanting to dine on La Rambla. The food all looks reasonably priced, but drinks such as sangria can be extremely expensive. Top tip – ask for the drinks menu as well as the food menu. Paella in Barcelona is amazing, but if you prefer your chicken without the bones just make sure to tell them. There is normally a good range of tapas for starters and then for entrees a Paella is big enough to share between two. 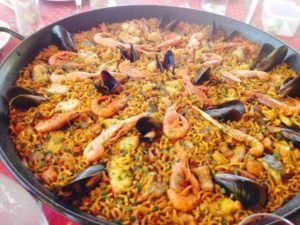 There is also other main courses to choose from, we just got hooked on the traditional Spanish paella. While near enough everyone speaks English, it’s always nice to have some manners so remember your Por favor and Gracias (please and thank you). We hope you’ve enjoyed our Barcelona travel tips and we’ve enticed you enough to book a trip and enjoy this beautiful city! Make sure you keep an eye out on our site for more exciting experiences at Make a Bucket List for now Adiós (Good-bye).